Tour Half Day. Departure from hotel of clients. Oxford offers many contrasts, extraordinary views and has everything one wants to see in a big English city with its traditions but also shops, restaurants and bustling life of modern style. 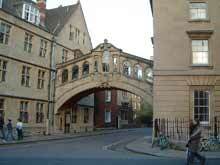 What distinguishes Oxford from all other British cities is the ancient architecture of the Centre. Jealously preserved for centuries, alley after alley, hundreds of old houses that emanate a unique atmosphere. The utmost strangeness is a church surrounded by a cemetery that does give you goosepimples with its strange graves in the middle of town. This tour also offers a nice scenic tour through several historic plaves and a beautiful view of the Green and lovely English countryside. See the ancient Oxford University, its famous spires and colleges where the leaders around the world have graduated through eight centuries, the magnificent city with a very high number of book stores. Manuscripts and works of art of many local museums are not the only interests in the minds of visitors. The city is very friendly, people are sociable, likeable, very pleasant, buzzing and very enjoyable for a walk. 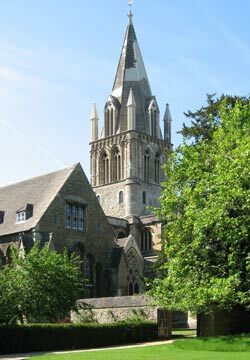 Especially the High Street with several shops dedicated to famous former students of Oxford and traditional High Tea-Time ' Rooms '. Note the price on this tour is per car, not per person. Includes a proferssional driver guide, vehicle, fuel, parking charges and local taxes. A pleasant and very comfortable opportunity to see more in less time.